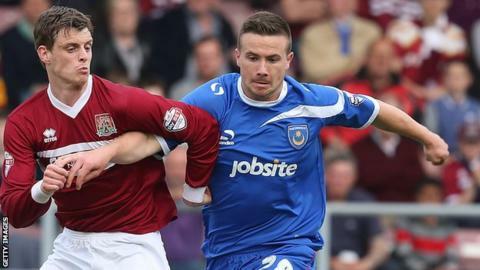 Portsmouth have re-signed Aston Villa striker Michael Drennan on an initial one-month loan deal. The 20-year-old scored three goals during his 10-match spell at Fratton Park last season. Drennan, a Republic of Ireland Under-21 international, also spent time on loan with League Two rivals Carlisle at the start of the year. "Michael was with us last season, so knows how we work here," manager Andy Awford told the club website.